Attorneys Service Bureau (ASB) takes pride in providing our clients with top ranking service of process and support in missing person’s investigations in Boise, ID. ASB provides customers with confidential and professional services at an affordable cost. We are one of the top ranking process and investigation services in the area. Since being founded in 1985, trust and ethics have remained the cornerstones of Attorneys Service Bureau. 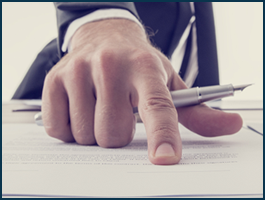 We ensure discretion in all matters related to clients, and all personal information remains confidential. 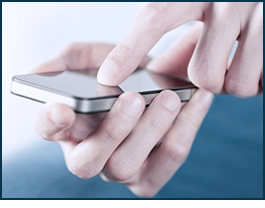 Attorneys Service Bureau offers a wide range of services and guarantees the best results. ASB has provided investigative support to attorneys and corporations as well as individuals in government and law enforcement. Whether you're trying to locate a person for legal matters, find a lost family member or friend, or need to perform an in-depth background check on a potential new hire, ASB is the premier provider of investigation services for residents of Boise and greater Idaho. Contact ASB today for more information on our process servers, background investigation, or any of the other services we offer! To assist attorneys in their efforts to conduct service of process, background checks, and witness locates. There are several reasons you might be prompted to search for someone. Find someone--anyone, anywhere, anytime--our company can assist you when you need to locate a person in Boise, ID. Whether you are trying to notify a beneficiary about a will, serve legal documents to a potential witness, locate a child, parent, relative, or a friend who has gone missing for unknown reasons, we’re ready and willing to help. We have an excellent track record with the most challenging kinds of location cases, even when the full identity of the person is not known. Attorneys Service Bureau’s experienced and resourceful investigators know exactly what it takes to locate even the hardest-to-find subjects. Our investigators also have extensive experience running comprehensive background checks for business, legal, and private clients. Before you hire a new employee, it’s advised to make sure there are no underlying problems with them so you are assured of a well-rounded member of your team. The same applies to non-profit organizations who are recruiting people to help with functions that include children or money handling. Your reputation could be permanently damaged and your credibility destroyed by the actions of a questionable individual, so doing background checks can give you some peace of mind that their motives are honest and can add to your mission plan. It’s not always about being suspicious. It’s a matter of being thorough. 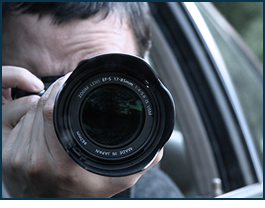 So if you’re looking for a private investigation service near you, we’ll provide quality services, so you have peace of mind and move forward without distraction. Contact our confidential investigative bureau today if you require an employee check or you’re trying to locate someone. We proudly serve Boise, ID, and the surrounding area.